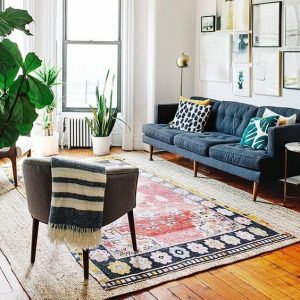 We gathered a few Feng Shui principles pertaining to the living room sofa and broke them down to simple do’s and dont’s so your living room can feel inviting and the positive qi can flow freely throughout your space. DO place your sofa against a solid wall. This gives support and security. 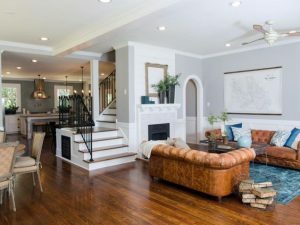 If the sofa is not anchored against a solid wall and is floating in the middle of a space, you might feel vulnerable and uneasy because you do not have the support behind you. The belief is that when you sit against a wall it creates stability. 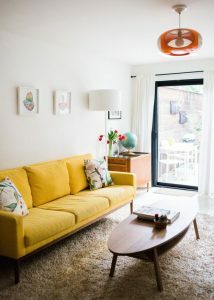 DON’T face your sofa away from the main entrance of the living room. While relaxing on your sofa, you should be able to see the living room entrance so you are aware of who is entering the space. If this isn’t possible, hang a mirror in such a way that you can see the entrance through the mirror’s reflection. The idea is to eliminate the “unknown” factor. DO place a large house plant behind the angle of an L-shaped sectional. L-shaped sectionals, inherently forms a large hard angle, also referred to as a “poison arrow”. Placing a plant at the angle serves as a buffer and the arrow shape is decreased. DON’T have clutter in your living room. 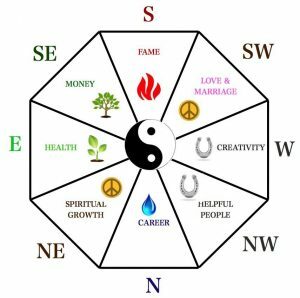 If you want clean and positive energy to flow freely throughout your place, you must eliminate the clutter so good feng shui energy can dominate the space. DO let in as much natural light and fresh air as possible. Natural light opens up the living room and fresh air helps the energy move throughout the room. Open the windows as much as possible because stale air makes the living room feel congested and traps any negative energy. If you don’t have enough natural light coming through the windows, try layering indoor lighting. 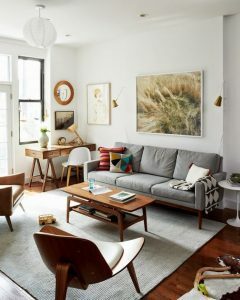 Besides a ceiling fixture, add floor lamps and a couple of table lamps. Rockridge Furniture & Design’s Sofa Sale is happening NOW through the end of March. Come visit our showroom to find great deals on custom sofas! 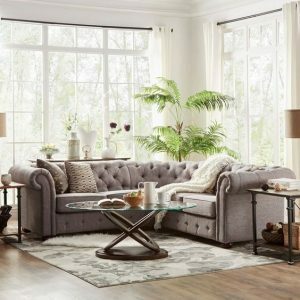 5 Things You Must Know Before Purchasing Your Sofa	Which Accent Chair is Right for You?